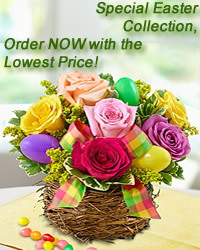 Softly colored blooms in a traditional design express your heartfelt sympathy and respect. the wreath is made from 40 gerberas, 40 alstromerias, 20 red gladioluses and 20 white roses. It will be delivered with stand as shown in the picture. Your condolence message will be attached on funeral flowers or will be given to relatives as you prefer. flowers-armenia.am Rated 4 out of 5 by 99 reviewes.